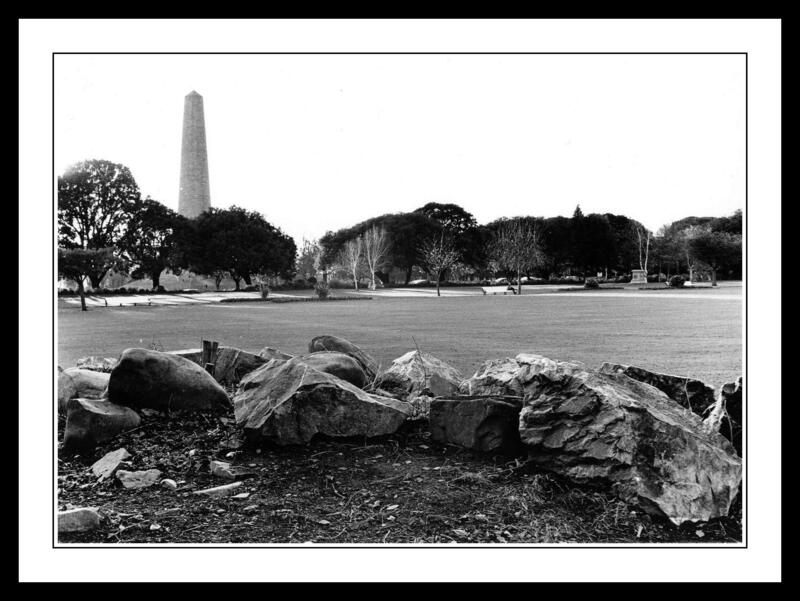 I am so delighted to say that two of my photographs have been selected in the “Phoenix Park Photographic Exhibition”. The competition was open to any amateur photographer so to say that I am over the moon is an understatement. The Exhibition runs from 8th of August to the 31st of August. 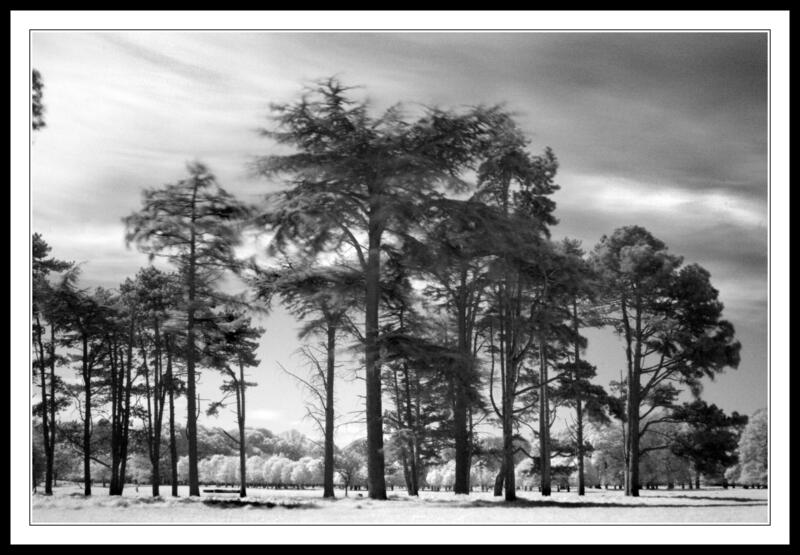 All the winning photos are now part of a truly wonderful exhibition in the gallery at the Visitor Centre. There are about 40 different photos covering all genres of photography. It really is well worth a visit. Here’s one of the photos that features in the exhibition. There is something about this tree that always reminds me of the mushroom cloud following an atomic explosion. 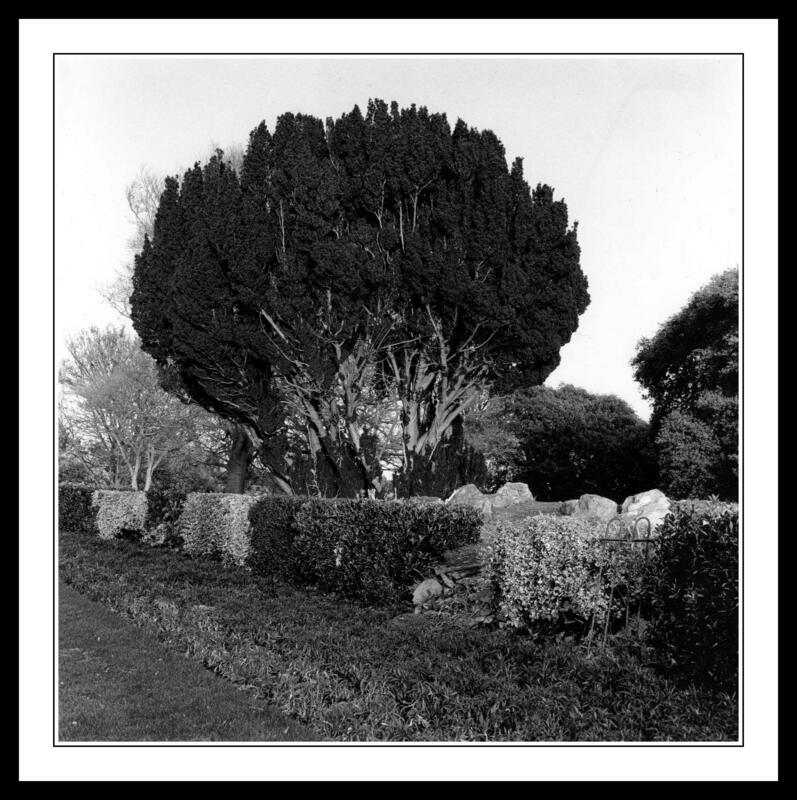 Don’t get me wrong here, I don’t actually have any first hand experience of atomic explosions and I don’t think there has ever been one in the Phoenix Park, but maybe this tree has seen some video footage of one such explosion and has since decided to grow up exactly like one. These are the present dangers of allowing trees to look over your shoulder as you wander around the park with your smartphone watching youtube. Next we are going to find trees taking on ridiculous Jackass like comedy stunts. Just make sure you watch yourself next time you go to the park, you may end up having elastic bands catapulted at your head, or the back of your legs if you’re really unlucky. This shot was taken in the stunning surrounds of the Peoples Flower Garden, you can find them just on the right hand side as you come in the main gates of the park. 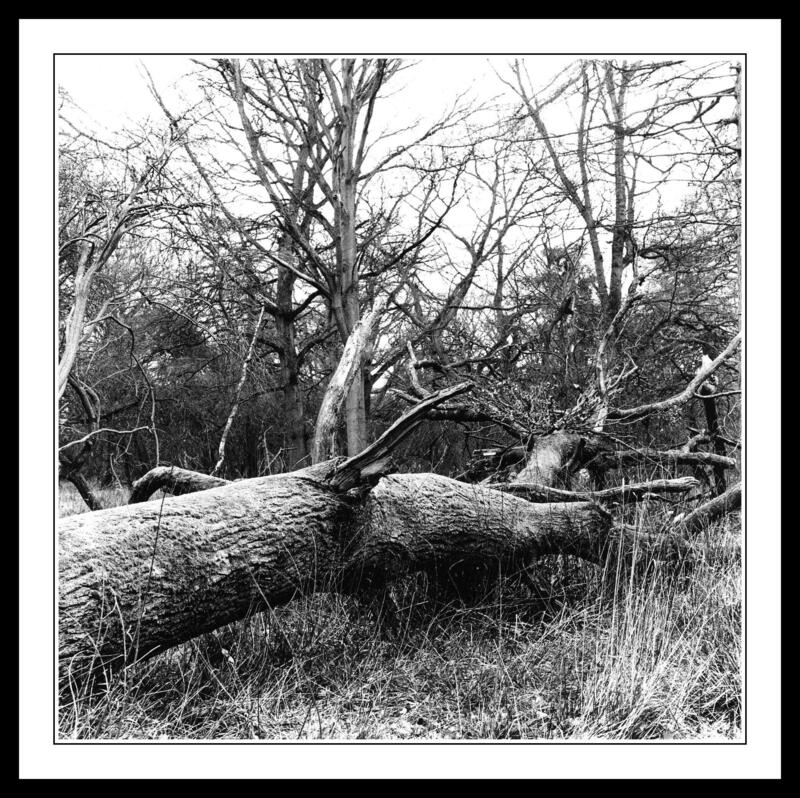 The photographic print was made in the old fashioned way by my very own hands in a darkroom. The picture was taken using a Bronica medium format camera on Kodak Tri-x film, possibly my all time favourite film at this stage. This blog is slowly turning into a miniature history lesson, that may have something to do with my new found obsession with photographing all the lodges and dwellings within the park. 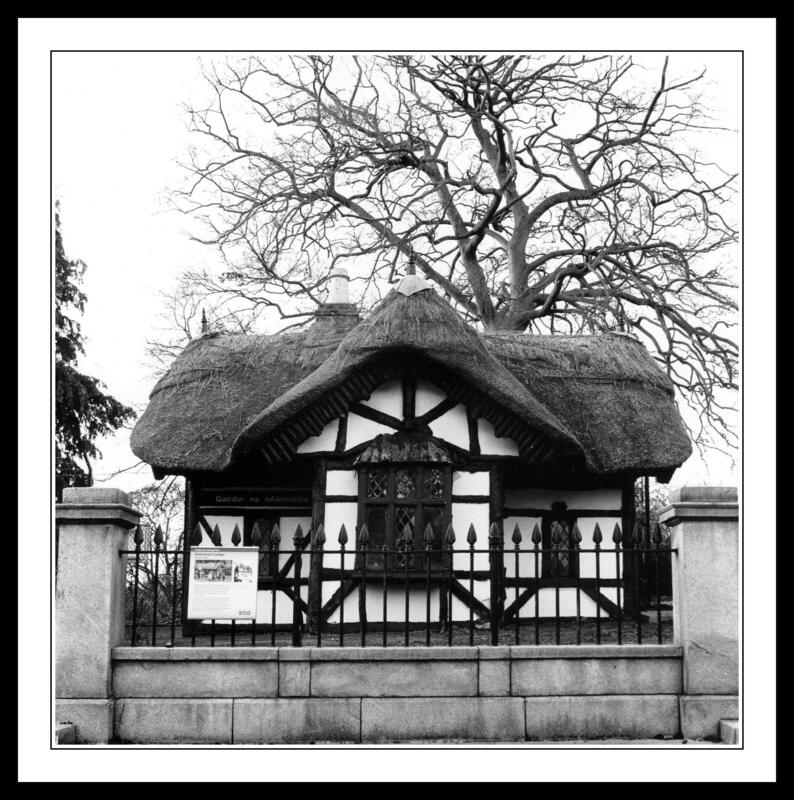 It came as a great surprise to me to find there were 35 such buildings in the park, ranging from small gate lodges to the likes of Aras An Uachtarain. I have decided to try and photograph as many of them as I am allowed to basically, so sit back and relax as this blog turns away from trees and takes a long look at lodges. You will notice directly behind this truly beautiful lodge sits an equally beautiful tree, I just can’t stop myself, sorry. This is actually the original entrance to the zoo and was built somewhere around 1833. The building has been beautifully restored to its original state and is well worth a visit if you have ten minutes to spare before or after you visit the zoo. My memory tells me I used to enter the zoo via this entrance when I was a kid in the seventies, but in reality I can’t remember most things I did last week, never mind forty years ago. It would make an amazing addition to the zoo if they were to open it up to the public again. When you are up close you will realise just how very tiny it actually is. 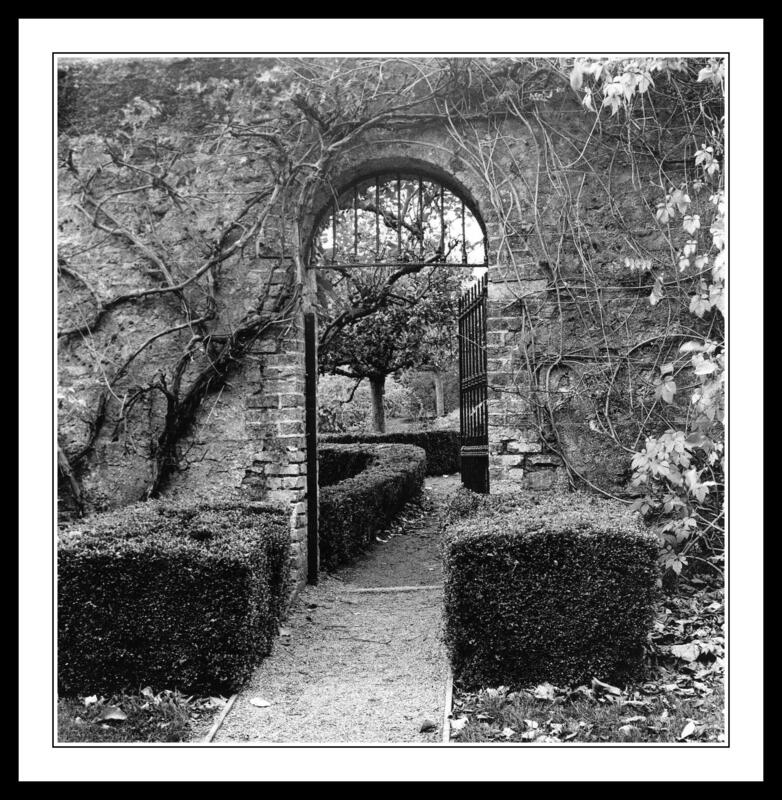 These are the side gates into the wonderful walled garden on the grounds of Farmleigh in the park. These gates are located to the right of the main gates to the garden, almost directly behind the boat house café. 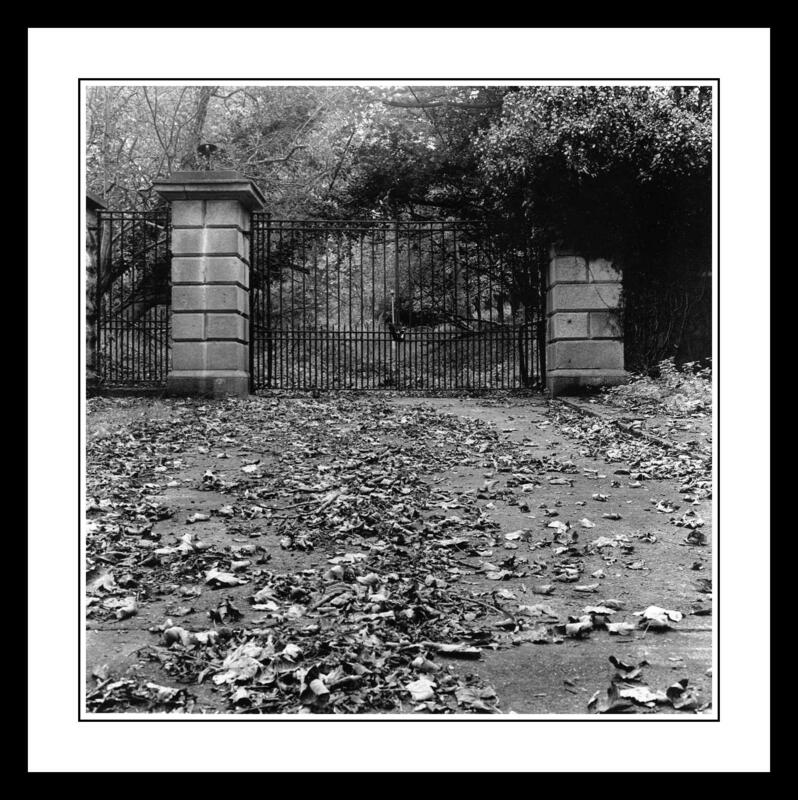 If you are familiar with Farmleigh you will most likely know exactly where these gates are, if you don’t really know Farmleigh then I recommend you rectify that matter and get yourself down there sometime. I love this place in both Summer and Winter, both seasons have their charm. The staff who look after this place have an awful lot to be very proud of, parts of it are wonderfully wild but other sections look like they have been trimmed with a pair of small scissors, such is the care that goes into it. Some day I expect to arrive and find an army of gardeners down on their knees trimming each individual blade of grass to the exact height. I have been informed by staff in the house that these mysterious gardeners only work in the dead of night though, so no chance of a photograph to prove my theory. The photo was taken on a Bronica medium format camera using Kodak Tri-x 120mm film. 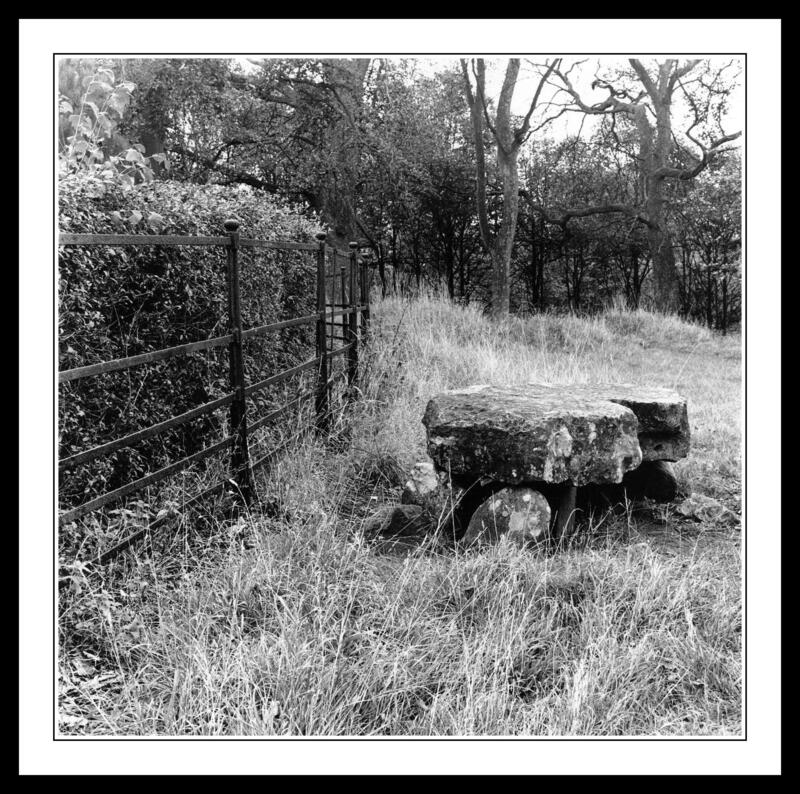 The print was made by my very own hands in a traditional wet darkroom. I really have no idea where these gates lead to but my educated guess would be an alternative entrance into the Cheshire Home. The gates are now quite rusted and chained up with a big padlock. As you can probably see from the overgrown trees the gates haven’t been opened in quite some time. The tree on the right hand side of the picture is what really caught my attention [as I nearly walked on a dead pigeon]. It looks like some creature from a sixties low budget horror movie. It was almost consuming the gatepost but was actually attacking it from above. The next scene in this movie features only one gate post and the viewer thinking about what is missing. I decided to get really low down on the ground to take this one [what must the staff in the park think of me at this stage], by that I mean I actually lay down on the ground, I really wanted to make the place look like the entrance to Bates Motel from Psycho. I think the dead leaves scattered on the ground really add to the haunting feel of the scene. I Didn’t Kill It, Promise. 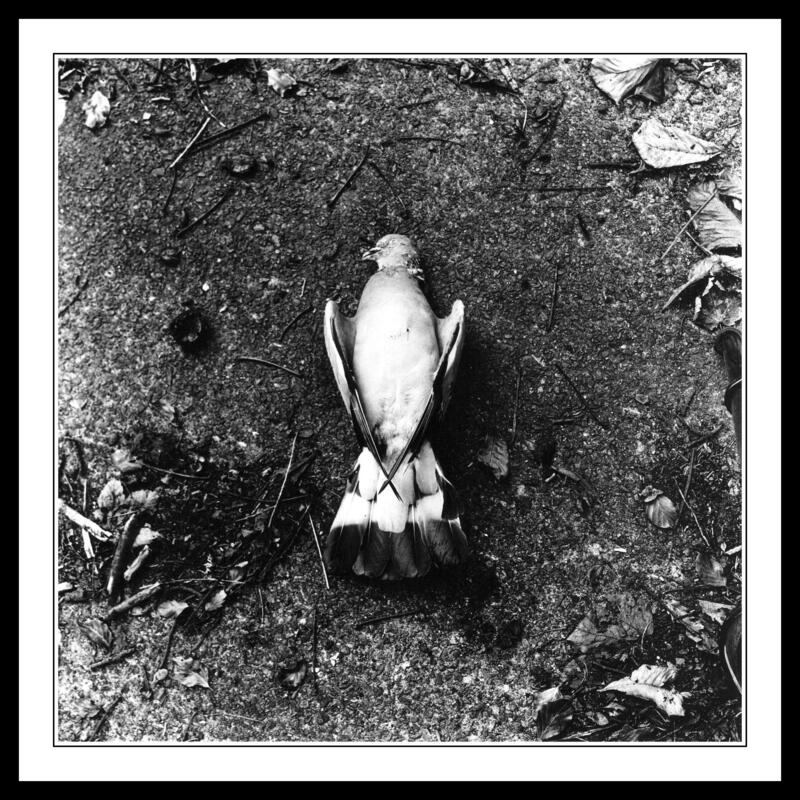 Ok so I didn’t kill this bird, you have probably gathered that from the title of this post, but just to be totally and utterly clear, I didn’t kill this bird. I found this poor dead creature just lying on the ground not far from the main entrance into the Cheshire Home. There it was just placed perfectly on the pavement in this exact position. It’s fair to say I grinned like the Cheshire Cat with camera in hand and everything ready to take a picture of the gates of the actual hospital. Then I started thinking this is just too good to be true, he started to look like somebody had placed him in this perfect position and was now watching me from somewhere nearby. I started thinking I am going to appear on one of these prank shows in a couple of weeks time. Well, it hasn’t happened yet and nobody jumped out of the bushes to surprise me. Strange and funny end to the story though. As I spent about twenty minutes getting everything ready to take the photograph I did notice a park wardens van driving by on a few occasions. I didn’t want them thinking I had murdered the bird so I kind of pretended to be pointing the camera in different places, just to keep their eyes off the ground. When I finally finished with the shot and started to pack away my camera the van comes back again and this time it stops right beside me. The guy gets out of the van, calmly says “Are you finished with him then” and scoops up the bird with a shovel and throws him in the back of his truck. Seems it was a bin truck and he was just doing a general clean up in the area. He obviously knew about the pigeon all along. I should point out that I am no great knowledge on matters of lightening strikes and their frequency but quite a few members of staff in the park have assured me that they regularly see the results of trees being hit by it. I can honestly see no other cause to the damage done to this particular tree so lets just go with the flow here and assume that this poor fellow was a victim of nature and the cruel tricks it can play on its own. 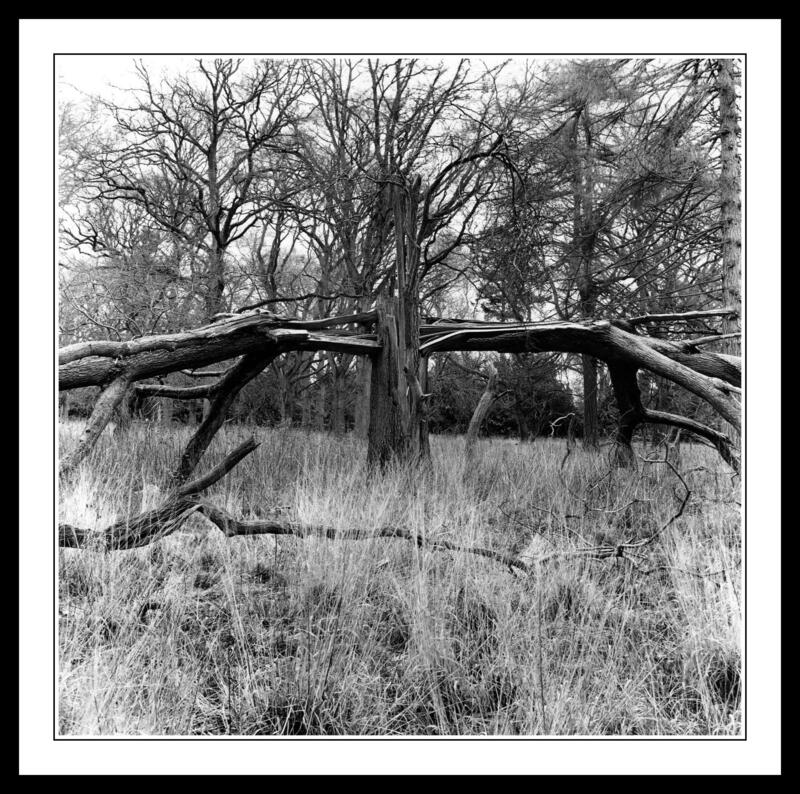 I have passed by this particular copse on several occasions and have intended to wander a bit further in to investigate this tree sitting right in the middle. It’s a fairly muddy and damp little spot, surrounded by some very tall trees on the outside, so not a lot of sunshine gets through. The ground is very thick with grass and almost swampy in places but I finally kitted up in wellie boots and headed in. The day I picked was quite dark and was threatening to rain at any moment. It seemed like the perfect day to go on an adventure in here. Most of the tree trunks are covered in this beautiful lush green moss at the bottom and the smell is just wonderful. There is something rather wonderful about the damp smell of a thick cluster of trees when you get to the very heart of them. Anyway, as usual I digress. When I was actually setting everything up I met one of the park rangers who told me about the lightening strikes and after a few minutes conversation he started to wander off, just then he turns around and tells me “It looks like a crucifix doesn’t it”, I couldn’t argue with him on that one.